Photozig®, Inc. is a premier provider of systems, software and services for digital photo manipulation, storage and display; developing easy-to-use, fast, convenient and reliable solutions for professional and consumer applications. 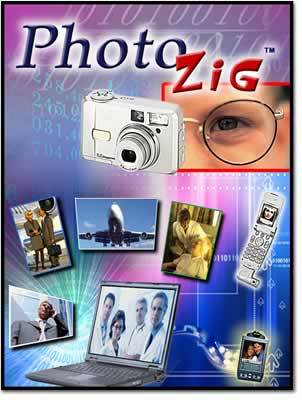 Photozig is a registered trademark of Photozig, Inc. The Photozig Logo is a trademark of Photozig, Inc.